Nintendo Game Boy Advance was one of the most popular handheld video game console in our childhood. We all used to circle around a friend who had the GBA and used to play in turn. The Game Boy Advance was a revolution with its landscape form factor with controls being placed on the side of the device. Some of the popular Game Boy Advance games include Super Mario Advance, Final Fantasy VI Advance, The Legend og Spyro, Samurai Deeper, Rhythm Tengoku, etc. Game Boy Advanced was replaced by Nintendo DS; however, you can still find and download Game Boy Advance ROMs on the internet. The ROMs can be then installed on iOS devices using the emulators. The GBA4iOS is the most popular Game Boy Advance emulator to play old retro Game Boy Advance Games on iPhone and iPad. The GBA4iOS emulator for iOS comes with an easy to use user interface. The emulator works on iOS devices like the iPhone and iPad. GBA4iOS allows you to play all the classic Nintendo Game Boy Advance games for free and the best part is it also supports game cheats. The emulator has a huge collection of GBA games including Pokemon, Final Fantasy, Legend of Zelda, Super Mario advance and Tekken, etc. All the games can be played on your iOS device using the GBA4iOS emulator. There is a auto-save feature to save the game progress. The latest version also supports iTunes sharing and landscape support. The in-app browser can be used to search for the Nintendo game ROMs on the internet. It also allows you to rename the ROMs for better organizing of Games. The GBA4iOS is not available on the App Store but you can download it from the third-party sources and install on iOS devices without jailbreak. Open the Safari browser on your iPhone/ iPad. In the address bar type iemulators.com. From the homepage, tap on Apps tab. Now scroll down to iOS Emulators and Apps section. Here, find GBA4iOS2.1 and tap on it. A popup will appear, tap on the Download page. 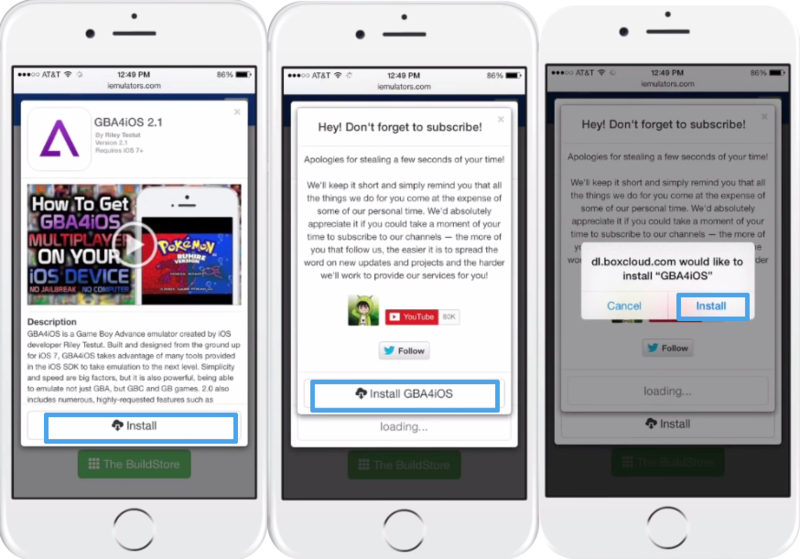 In the next page, scroll down and tap on GBA4iOS 2.1. A popup will appear again. Tap on Install and then on Install GB4iOS. Now follow the on-screen instructions to install GBA4iOS. Don’t open the app after the installation is complete as it will result in untrusted developer error. After the installation, go to Settings > General > Device Management and tap on the GBA4iOS profile. Tap on Trust GBA4iOS profile and make the app trusted. 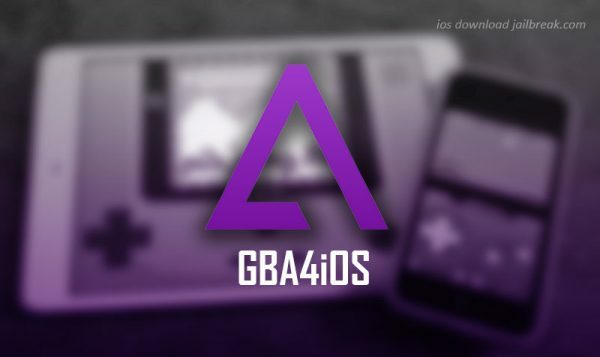 You can now launch the GBA4iOS emulator from the home screen. Launch the GBA4iOS emulator and tap on the + button. It will launch the in-app browser. Now search for the Game Boy Advance game that you want to download. Start downloading the GBA game ROMs and after the game is finished downloading, you can launch the game from GBA4iOS emulator.